Jenenne Whitfield, D.D. serves as the CEO of the critically acclaimed Heidelberg Project. Under Whitfield’s direction, The HP has risen to international status and is recognized as one of the most influential art environments in the world. Her leadership will lead the next chapter in the Heidelberg Project’s evolution with a new initiative called Heidelberg 3.0. Honorable Charles W. Anderson III. Retired Magistrate of the 36th District Court for 21 years. Graduated from Tufts University and the University of Michigan Law School, practicing law since 1978. Emeritus Board Member of the DIA, Friends of African and African Americans. Met Tyree Guyton 25 years ago and has been involved with The Heidelberg Project ever since. Charmin Archer is an educator and curriculum writer with a passion for global literacy and youth empowerment. 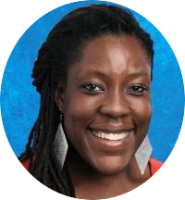 Over the past 20 years she has taught on the elementary, secondary and tertiary levels including teaching positions in Harlem, Ethiopia, the Caribbean and Michigan. Charmin is a Kindergarten teacher at Mitchell Elementary School in Ann Arbor. She is also the co-founder and Director of Curriculum and Content for the Heidelberg Arts Leadership Academy (HALA) in Detroit, MI. Orlando Bailey is a native Detroiter born and raised on the city’s Eastside. He currently serves as Director of Community Partnerships at Eastside Community Network (ECN) where he works hard to attract and retain key partnerships for the betterment of Eastside neighborhoods. For the last six years at ECN, Orlando has led neighborhood level planning efforts and policy advocacy campaigns, published scholarly articles on social determinants of health and has managed fund development activities. Terry Campbell, Regional Manager, Office of U.S. Senator Debbie Stabenow, has been part of the senator’s team since 2014. A Detroit native, she has responsibility for facilitating the connection between the senator and constituents. Terry previously served as Chief Operating Officer for Eastern Market Corporation. Her early career was in the auto industry with General Motors in Flint, Warren, Singapore, and Shanghai. Jessica Care Moore is the CEO of Moore Black Press, Executive Producer of Black WOMEN Rock!, and founder of the literacy-driven, Jess Care Moore Foundation. An internationally renowned poet, playwright, performance artist and producer, she is a distinguished 2017 Joyce Award Winner, 2016 Kresge Arts Fellow, a 2017 Knight Arts Foundation winner and the 2013 Alain Locke Award Recipient from the Detroit Institute of Arts. Her poetry has been heard on stages across the world, including, Carnegie Hall, Lincoln Center and the London Institute of Contemporary Arts. 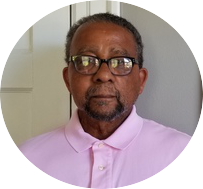 Maurice Cox is a nationally acclaimed community designer and leader of the public interest design movement. Currently the Planning and Development Director for the City of Detroit, Maurice is in charge of the long-term vision for a redeveloped Detroit—improving Detroit’s neighborhoods, developing strategies to boost stable areas of the city with new business and residential development, and devising uses for the vast tracts of vacant lots and other city owned properties. Roula David is the Chief Operating Officer of 1xRUN, a leading online publisher of showcasing limited edition prints, original artwork, books and exclusive pieces from the best-known and emerging names in contemporary art. David is also Executive Festival Director of Murals in the Market, a place-making and public art program in Detroit’s Eastern Market. Roula had also founded and helped create Red Bull House of Art, and currently sits on the board at the beloved Heidelberg Project. Keisa Davis is a youth advocate with a commitment to community building projects that sustain vibrant empowered neighborhoods and foster economic, social and cultural equity. She holds a BA in Fine Arts from Spelman College and a MA in Media Studies with a Youth Media focus from The New School University. In 2017, Keisa co-founded Heidelberg Arts Leadership Academy and serves as the Director of Strategic Partnerships and Community Initiatives. 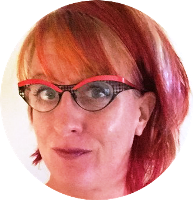 Anya Dennis is a multidisciplinary educator and administrator with 20 years of experience as a teacher with specific expertise in the area of student-centered pedagogy and teacher training. She holds a bachelor’s degree in English Education from Clark Atlanta University and a M.Ed. in Education Administration from Temple University. In 2017, Anya co-founded the Heidelberg Arts Leadership Academy and serves as the Director of School Programs and Professional Development. Kimberly Driggins, Director of Strategic Planning/Arts & Culture, City of Detroit’s Planning and Development Department (PDD). Kimberly is responsible for citywide planning initiatives in the following areas: comprehensive planning, open space, historic preservation, neighborhood retail, and creative placemaking. In addition, she is the Mayor’s representative for arts and culture for the City of Detroit. Julie Egan is the founder and Chief Conversation Officer of Salonnière, a global curation and conversation agency that fosters face-to-face purpose-driven salon conversations and artistic experiences paired with food and drink to build relationships and creative collaborations for clients. Most recently, Egan served as a Senior Adviser at the U.S. Department of State, where she helped create President Obama’s Global Entrepreneurship Summit and the first U.S. regional foreign policy in North Africa to involve both business and government. John M. Erb serves as President of the Fred A. and Barbara M. Erb Family Foundation. A graduate of the University of Denver, John serves on the boards of the Community Foundation for Southeast Michigan and Detroit Zoological Society. He also serves on the Board of Governors for the Cranbrook Institute of Science and the Advisory Board for Common Ground. At the University of Michigan, he serves on the President’s Advisory Group, the Strategic Advisory Council for the Erb Institute for Sustainable Enterprise, and the Advisory Board for the Graham Environmental Sustainability Institute. Holly Feen-Calligan, Ph.D, is Associate Professor and Coordinator of Art Therapy at Wayne State University’s College of Education. Through her department and its community program, ArtsCorpsDetroit, Dr. Feen-Calligan partners with community agencies in service-learning, internship, research and volunteer relationships. She endeavors to cultivate the strengths that emerge from these collaborations. Larry Gant is currently Professor of Social Work and Professor of Art and Design at University of Michigan-Ann Arbor. Believing as Tyree Guyton does that “art is medicine”, Gant’s work infuses arts in community based interventions that prevent health disparities and promote health equity and access. Donna L. Givens, President and CEO of Eastside Community Network, has over 30 years nonprofit leadership experience in areas of youth and family development, community economic development, community partnerships, and community education. Over the years, she has developed and implemented demonstration programs and worked in partnership with a number of community organizations with the consistent goal of increasing opportunity, building capacity, and fostering growth. Daniel Hoops has been a practicing attorney since 1995 and a partner at Paesano Akkashian Apkarian, P.C. since January 2018. Prior to joining the PAA, Dan spent the past 10 years in academia, serving on the full-time faculty at Walsh College and Northwood University while maintaining a limited practice. Daniel’s areas of expertise include estate, tax and business planning, cryptocurrency and cyberlaw, real estate development, trademark and copyright litigation, and charitable giving. 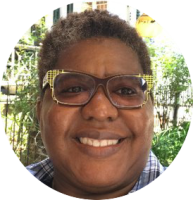 Candace Jackson, Principal of CJAM Consulting has worked as a cultural arts and economic development practitioner for over 20 years. Her experience includes management in and consultation to numerous theater, dance, film, visual arts and cultural organizations. Since launching CJAM in 2006, she has been engaged by cultural institutions across the country and has partnered with several New York City-based arts consulting firms on programming, capital and operations initiatives. Marion “Mame” Jackson, PhD, is Distinguished Professor Emerita of Art History and former Chair of the Department of Art and Art History at Wayne State University. A founding member of the Heidelberg Project Board, she has written and lectured about the Heidelberg Project and has facilitated collaborations between Wayne State University and the Heidelberg Project. Aku Kadogo is the Chair of the Department of Theatre and Performance at Spelman College as well as an International theatre director, choreographer and Educator. She has become the recent recipient of a 2017 Knight Challenge Foundation grant to develop “Salt City: A Techno Choreopoem” by International poet Jessica Care Moore which will premiere at the Charles H. Wright Museum of African American History in 2019. Dietrich Knoer is the President and CEO of The Platform, LLC, a development company that is focused on developing residential and mixed-use communities in Detroit. With a team of 26 talented professionals, The Platform is working on a $500 million development pipeline throughout the city and its neighborhoods. Dietrich has been a development and investment professional with domestic and international experience for the last 24 years. Ingrid LaFleur is a curator, artist and activist. As a recent Detroit Mayoral candidate, LaFleur implements Afrofuturist strategies to empower oppressed communities. She is currently the co-founder and Chief Community Officer of EOS Detroit. LaFleur has led conversations and workshops at Centre Pompidou (Paris), Harvard University, and Oxford University, among others. Leslie Love is currently serving in her second term. 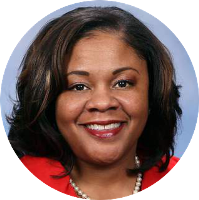 She represents Michigan’s 10th District, which encompasses parts of NW Detroit and Redford Township. Rep. Love’s entry into politics began in 1998, when she worked as the campaign assistant for California Assemblywoman Marguerite Archie-Hudson and later that year as a field organizer for California Gov. Joseph “Gray” Davis. Rep. Love is a graduate of Detroit Public Schools. She received a bachelor’s degree from Siena Heights University and master’s degrees from Marygrove College and Wayne State University. Jova Lynne is a transdisciplinary artist and curator based out of Detroit, Michigan. Born and raised in New York City in a household of artists and musicians, Jova graduated from Hampshire College in Amherst, MA in 2010 with a Bachelors of Arts in Video Art and Education and earned her MFA at Cranbrook Academy of Art. Jova is currently a Museum of Contemporary Art Detroit (MOCAD) Ford Curatorial Fellow where she curated 2+2=8: Thirty Years of Heidelberg as well as Tyree Guyton’s Process. 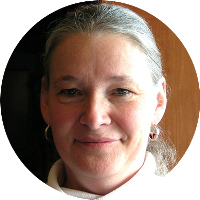 Susan T. Mosey has been the Executive Director of Midtown Detroit, Inc. (MDI) in Detroit, Michigan for twenty nine years. This non-profit organization is responsible for community development, marketing, real estate, small business development and arts programming within Detroit’s University Cultural Center and New Center districts – an area now known as Midtown. MDI also manages public space maintenance and security initiatives for the district. Jules Polk is a ceramic artist with a Master’s Degree in Intercultural Nonprofit Management. Jules worked with refugees in Sri Lanka, then settled in Vermont, where she has worked with homeless families, women in prison, refugee resettlement, volunteer emergency services, national disaster relief for artists, and is a state certified volunteer firefighter. Jodee Fishman Raines has been the Vice President of programs at the Erb Family Foundation since its creation in 2008. The $280 million metro Detroit based foundation’s mission is “to nurture environmentally healthy and culturally vibrant communities in metropolitan Detroit, consistent with sustainable business models, and support initiatives to restore the Great Lakes Ecosystem.” Previously, Jodee worked at The Jewish Fund and Skillman Foundation. A graduate of the Wayne State University Law School, she has also practiced nonprofit and corporate law in Detroit. Richard Raubolt Ph.D. ABPP is a Clinical Psychologist and Board Certified Psychoanalyst. As the author of two noted books, Power Games and Theaters of Trauma, and the reputation as a master clinician Dr. Raubolt has presented his work on trauma internationally. He maintains a private psychotherapy practice in Grand Rapids, Michigan. Gina Reichert is an artist trained as an architect. Her practice is rooted in developing strategies, ideas and interventions for self-initiated projects in the Detroit neighborhood where she lives, defining opportunity in overlooked spaces and using the resources at hand. She worked collaboratively at Design 99 for 10 years and is co-founder of Power House Productions. Dr. Charles Smith is a visual artist, historian, activist and minister who lives and works in Hammond, LA. Using concrete, found items, and other materials, he created an art environment of more than 600 sculptures that was an expression of a collective cultural experience. His African American Heritage Museum and Black Veteran’s Archive chronicled both well-known and obscure events in African American history, each related to individuals, incidents, or places in African American history. Tanya J. Stephens is a multidisciplinary artist, creative placemaker, cultural placekeeper, and licensed real estate practitioner that specializes in the activation, preservation, and curation of arts and cultural spaces, and equitable arts based real estate development. She is also Founder of Detroit Curated, an exploratory project, celebrating and documenting Black Arts & Culture in Detroit. Lisa Stone is curator of the Roger Brown Study Collection of the School of the Art Institute of Chicago. Her research and teaching concern the preservation and interpretation of artist’s environments and collections. She has a Master of Science in Historic Preservation from the School of the Art Institute of Chicago. Michael Stone-Richards is Professor of Critical Theory and Visual Studies at the College for Creative Studies in Detroit, and recently Chair of the Committee on Critical Studies at CCS. His book Logics of Separation was published by Peter Lang in 2011. He is widely published in English and French on the history and theory of the avant-garde and Critical Theory. He is most recently founding editor of the journal Detroit Research. Andrew Sturm, A visual artist, architect, and Chair of Heidelberg’s Board since 2014, Andy’s practice focuses on reshaping our cities and public institutions into more just, equitable and interesting forms. Currently located in New York City, Andy is a selected artist of the 2018/2019 Whitney Independent Studio Program, but his heart is always in Detroit. Christine Taylor, Kohler Foundation Executive Director, leads preservation initiatives in self-taught, and vernacular art. Past leadership, advocacy and service includes True Value Foundation, Arts & Business Council of Chicago, and PBS. Taylor holds a Certificate in Museum Studies from Northwestern University’s School of Professional Studies, and Bachelor of Arts degrees in Journalism; and Broadcasting Film. Jacqueline Taylor, PhD, Lead Historian/Cultural Landscape Specialist, has a PhD in the history of architecture and art with a specialty in twentieth century modernism. She is the lead historian and cultural landscape specialist for the Strategic Division in the City of Detroit Department of Planning and Development. As a Historic Preservationist her responsibilities include designing innovative solutions to activating and preserving socially and culturally significant buildings and landscapes. Joan Verla co-directs ArtsCorpsDetroit, a WSU arts-based community engagement program. She coordinated four regional conferences hosted by the James Pearson Duffy Department of Art and Art History, WSU. Joan is an independent special programs manager and consultant. Previously, she worked for the Marriott Corporation. Joan holds a BFA in sculpture. Marilyn Wheaton has been director of the Marshall M. Fredericks Sculpture Museum since 2006. 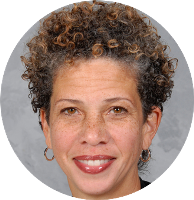 She has facilitated strategic planning for arts and cultural institutions; was director of the City of Detroit’s Cultural Affairs Department; director of Concerned Citizens for the Arts in Michigan; and research assistant, Archives of American Art, Smithsonian Institution. Craig L. Wilkins, architect, author and activist serves on the University of Michigan Taubman College of Architecture and Urban Planning faculty. A 2017 Smithsonian Cooper-Hewitt Museum National Design Award winner and Hip Hop architectural theorist, he is the director of the Wilkins project, a creative practice that includes both written and built work. Jessica Brooke Williams currently serves as the Grants Manager for the Heidelberg Project. She has worked in the community development field for over ten years, contributing to efforts in land use redevelopment, local, state and national social service program evaluation, and corporate citizenship. Williams holds a BA from the University of Michigan and Master’s of Urban Planning from Wayne State University. Tyree Guyton, DFA is the founder of the critically acclaimed Heidelberg Project (Detroit) charting his own path with its creation in 1986. An accomplished artist, Guyton stunned the world when he announced that he would dismantle his 30+ year-long work to focus more on his private practice. Guyton’s work is featured in museums and private collections throughout the world.